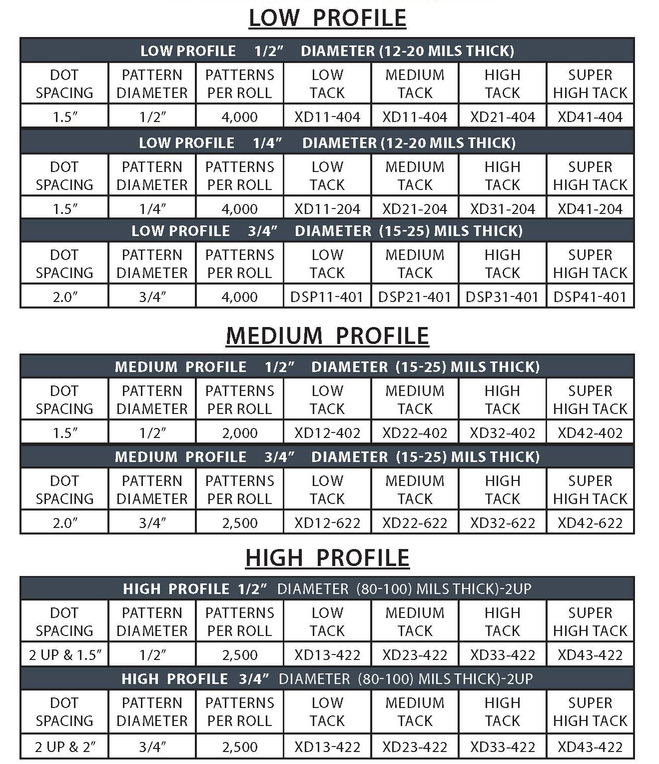 Jorson & Carlson is your source for Glue Dots. With Glue Dots you can spot glue with instant results and no gluing equipment. There’s no need to wait for glue to set or dry. Just use Glue Dots, a preformed 1/2” diameter flat dot of glue.Glue Dots are packaged in a convenient, 4,000 count, easy to use dispenser box in 4 standard tack levels. Call Jorson & Carlson for your Glue Dots. HIGH TACK With more sticking power, these are ideal for holding magnets or product samples in place, yet still removable from many coated stocks. MEDIUM TACK More sticking power than Low Tack, but still provides easy removal. Great for attaching credit cards or phone cards and can even be used to seal mailers. SUPER HIGH TACK A permanent glue with tremendous holding power for assembly operations or carton sealing. 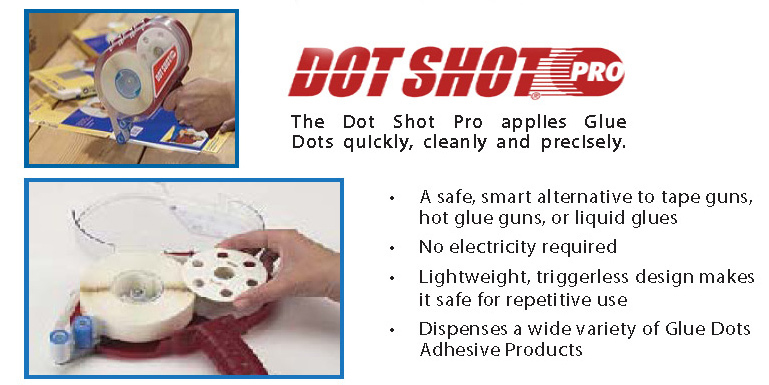 The Dot Shot Pro was designed to be as simple and versatile as the Glue Dots adhesive products it dispenses. Rugged, lightweight, and portable, the Dot Shot Pro puts productivity right in your hand. The Dot Shot Pro dramatically increases how fast Glue Dots are applied and is perfect for Packaging, Printing & Bindery, Material Handling, Mail & Fulfillment, Point of Purchase and more. 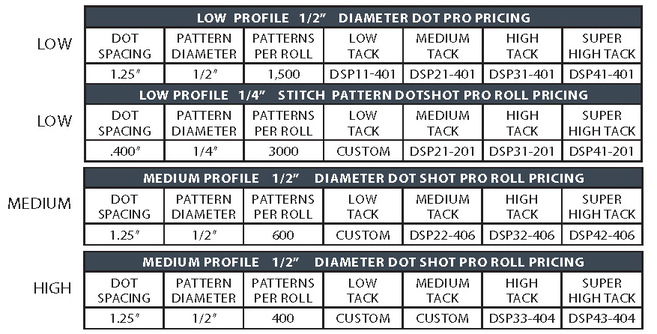 The Dot Shot Pro dispenses Glue Dots products in high, medium and low profiles and all adhesive strengths, a multitude of custom patterns and the new Stitch pattern.